I spent the second week in February at the Vine Retreat near Kep, in Cambodia. This was a very productive writing retreat for the members of the Young Women’s Health Study. It was wonderful to spend time with Kim Page, Ellen Stein, Marie-Claude Couture and Jennifer Evans, from the Centre for AIDS Prevention Studies, University of California San Francisco; Tooru Nemoto from the Public Health Institute, California; Pisith Phlong from the Royal University of Fine Arts, Phnom Penh; Melissa Cockcroft from the Cambodian Women’s Development Agency, Phnom Penh; and my old boss Lisa Maher from the National Centre in HIV Epidemiology and Clinical Research, University of New South Wales. We were a 20 minute drive (longer by tuk tuk!) from Kep, a seaside resort near the border with Vietnam. Kep used to be a very luxury resort town (1900-1960s) but has been a virtual ghost town during the Khmer Rouge years (things are picking up again with some stunning restaurants and crab shacks). 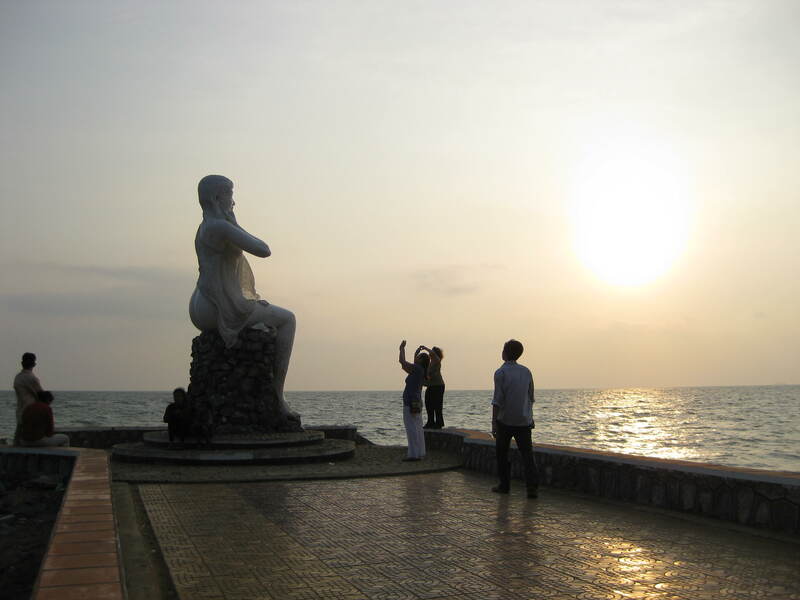 Exciting things to see in Kep include the giant crab statue and the Lady of Kep (or White Lady) on the beach.